Kick off your visit on the 6th (Thu): have some family-friendly fun at Battlefield Colorado and then tour the pleasant surroundings at Garden of the Gods. To see more things to do, traveler tips, maps, and tourist information, read Colorado Springs day trip planning app . Use the Route module to find travel options from your starting location to Colorado Springs. In June, daily temperatures in Colorado Springs can reach 84°F, while at night they dip to 54°F. Wrap up your sightseeing on the 6th (Thu) early enough to travel to Guernsey. Guernsey is a town in Platte County, Wyoming, United States. Kick off your visit on the 7th (Fri): explore the striking landscape at Register Cliffs, admire the majestic nature at Guernsey State Park, and then stroll through Oregon Trail Ruts. For other places to visit, where to stay, and more tourist information, use the Guernsey trip tool . Traveling by car from Colorado Springs to Guernsey takes 4 hours. Alternatively, you can fly. In June in Guernsey, expect temperatures between 85°F during the day and 53°F at night. Cap off your sightseeing on the 7th (Fri) early enough to travel to Keystone. Explore Keystone's surroundings by going to Custer (Sylvan Lake, Needles Eye Tunnel, & more). There's lots more to do: explore the wealth of natural beauty at Mount Rushmore National Memorial, take some stellar pictures from Breezy Point Picnic Area, hike along Presidential Trail, and explore and take pictures at Big Thunder Gold Mine. To see ratings, reviews, traveler tips, and tourist information, read our Keystone travel planner. Traveling by car from Guernsey to Keystone takes 3.5 hours. Expect slightly colder temperatures when traveling from Guernsey in June; daily highs in Keystone reach 73°F and lows reach 48°F. 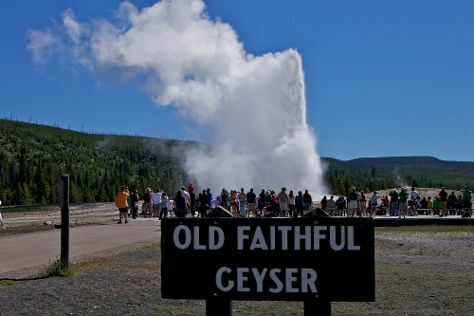 Wrap up your sightseeing by early afternoon on the 10th (Mon) to allow time for travel to Yellowstone National Park. Yellowstone National Park is known for nature, wildlife, trails, historic sites, and nightlife. Your plan includes some of its best attractions: witness a stunning natural landmark at Grand Prismatic Spring, explore the activities along Madison River, take in breathtaking views at Grand Canyon of the Yellowstone, and look for all kinds of wild species at Lamar Valley. To see ratings, reviews, traveler tips, and other tourist information, read Yellowstone National Park sightseeing planner. Getting from Keystone to Yellowstone National Park by combination of flight and car takes about 6.5 hours. Other options: drive; or do a combination of bus, shuttle, and car. In June, Yellowstone National Park is little chillier than Keystone - with highs of 66°F and lows of 34°F. Wrap up your sightseeing on the 15th (Sat) early enough to travel to Boise. Start off your visit on the 16th (Sun): tour the pleasant surroundings at Boise River Greenbelt, then get a sense of history and politics at Idaho State Capitol Building, then identify plant and animal life at World Center For Birds of Prey, and finally get your game on at Boise Escape. For where to stay, traveler tips, ratings, and other tourist information, read Boise sightseeing planner . Do a combination of car and flight from Yellowstone National Park to Boise in 6.5 hours. Alternatively, you can drive; or do a combination of car, flight, and bus. Traveling from Yellowstone National Park in June, expect nights in Boise to be much hotter, around 57°F, while days are a bit warmer, around 85°F. Wrap up your sightseeing by early afternoon on the 17th (Mon) to allow time for travel to Salt Lake City. 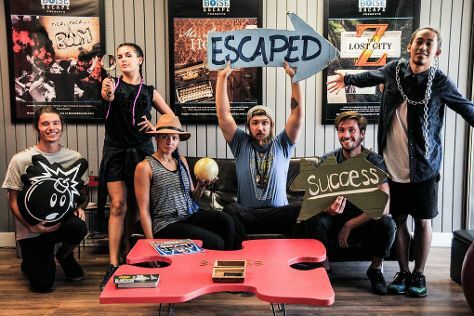 Kick off your visit on the 18th (Tue): fly down the slopes at Deer Valley Resort, test your problem-solving skills at popular escape rooms, and then view the masterpieces at Art at the Main Gallery. On the 19th (Wed), you'll have a packed day of sightseeing: tour the pleasant surroundings at Park City Mountain Resort and then explore the stunning scenery at Big Cottonwood Canyon. To see where to stay, reviews, photos, and tourist information, you can read our Salt Lake City planning website . Getting from Boise to Salt Lake City by flight takes about 4 hours. Other options: drive; or take a bus. In June, daytime highs in Salt Lake City are 89°F, while nighttime lows are 62°F. Wrap up your sightseeing on the 19th (Wed) early enough to travel back home.